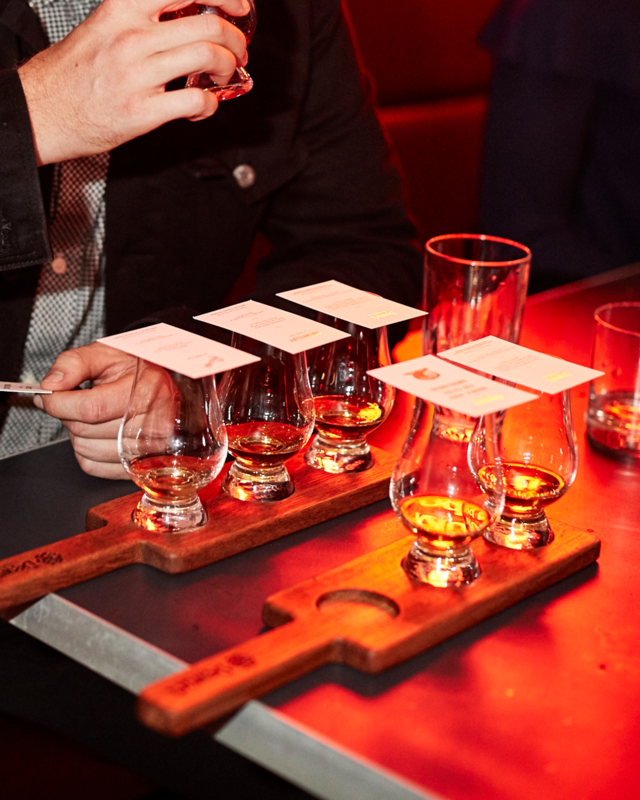 Whisky enthusiasts, rejoice. Dewar’s – the only double aged blended Scotch whisky in the world – is bringing its deliciously smooth Whisky and Scotch Egg Club pop-up to Melbourne this month - and you're all invited. If you’re unfamiliar with Dewar’s this is your chance to become acquainted. For the next month, you and your mates can kick back at Melbourne's hidden haunt, Beneath Driver Lane, while sipping on some world-class whisky and tucking into some delectable Scotch eggs. The drinks list is where it's at. From a refreshing Dewar's Original Highball to a juicy Dramble cocktail bursting with blackberry flavour, there's plenty to try, savour and pair your Scotch eggs with. There’ll be four flavour combinations up for grabs: the Morcilla Quail Scotch Egg, the 14-hour slow-cooked Brisket Hens Egg with Huancaina sauce, the Choizo Quali Egg with Salsa Criolla, and the Free Range Chicken Hens Egg with tarragon cream (*drools*). Each Scotch egg is paired with a different and delicious Dewar's whisky to intensify the flavour sensation in your mouth. Why Scotch eggs? I hear you ask. Great question. Tommy Dewar (the son of Dewars’ founder, John Dewar) was a legendary whisky baron as well as an eminent chicken breeder (aka his sneaky side hustle), and The Scotch Egg Club is a celebration of his two greatest passions in life: whisky and chickens. Fun fact: Not only did he put his own distinguished and dignified spin on his family’s smooth, malty recipe, he also attempted to trademark the Whisky Highball in 1905. We don’t know about you guys but for us, Scotch eggs and whisky are a pretty epic combo and we’re always keen to wrap our hands ‘round something different. See you at the bar. Editor’s note: This article is sponsored by Dewar's and proudly endorsed by The Urban List. Thank you for supporting the sponsors who make The Urban List possible. Click here for more information on our editorial policy.